Back when Microsoft acquired Yammer, my job as a consultant working for Microsoft Services suddenly became a lot more interesting. Yammer was something I was waiting for as soon as I joined Microsoft as a trainee in July 2008. Facebook was already huge, but communication between colleagues was mostly done via e-mail. The Intranet back then was a rather static internal website you visited for information and news, it didn’t provide a social experience at all and everyone was just getting used to having a real-time chat client. It was pretty clear to me that internal communications was desperate for an upgrade. Microsoft introduced some social features in SharePoint 2010, but they didn’t add a feed and the noteboard didn’t allow you to @mention others. It simply wasn’t good enough and this allowed third-party applications such as Newsgator to step in. 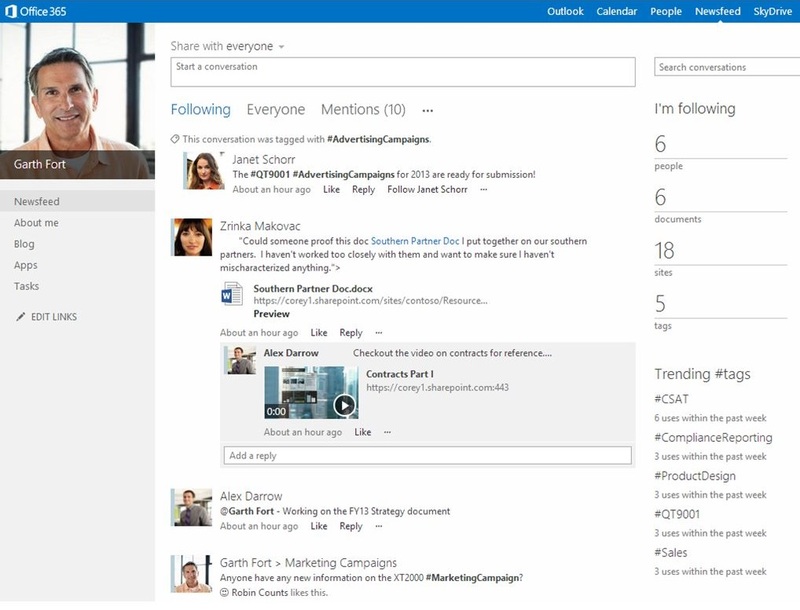 Microsoft introduced the newsfeed and the @mentioning feature in SharePoint 2013. This offered a basic social experience and was also included in SharePoint Online as part of the Office 365 suite. Microsoft finally announced the acquisition of Yammer in June 2012 and said that Yammer should drive the social part of SharePoint. As a SharePoint Consultant with a passion for social, this was something I immediately embraced. Yammer was already around for 4 years and a lot of companies were using the freemium version. This gave Yammer engineers the statistics they needed to perform A-B testing. The newsfeed was to be replaced and with time the integration between SharePoint and Yammer would be improved. A social Intranet is an Intranet that allows users to comment on news and other elements within the Intranet. It should be completely responsive and the conversations on Yammer should be visible even if you visit the Intranet on your smartphone. There is no reason to push users towards the Yammer app. The people that really like Yammer have the smartphone app installed already and this is why you need to make sure that they get the push notifications by automatically creating announcements in the right Yammer group when news is published on the Intranet. More on this later. This is the main menu. The “organisation” and “support” tab redirect the user to a department or support Site which consists mostly of the same elements as shown on the homepage. The “news” and “events” buttons in this menu redirect the user to the news archive and the calendar which are managed by internal communications. The news slider showcases 3 news items created by the communications department. They can select the news items they want to showcase in the slider. A Yammer embed is shown below the news article when you open it. This is also where you can see a Yammer announcement linked to the article. This allows users to “like” the news article and also triggers a push notification, resulting in more interaction on the Intranet. This is the most important Yammer feed, so pin this one on the homepage of the Intranet. It surfaces conversations that matter. Don’t show the flooded all company feed and overwhelm everyone. The following feed allows users to stay connected regarding the most important conversations without having to visit Yammer.com via the browser or having to install and use the Yammer app. The Yammer feed on the department and support Sites is the feed from a public Yammer group created for these specific Sites. This allows you to showcase the most important Yammer groups. The internal communications department selects a set of links, adds titles and a picture. The user is then allowed to select 6 tiles and change the order. This is the only personalization you really need for the Intranet. The user preferences and the tile info is stored in SharePoint lists on the specific Site. This also allows department and support Sites to use this feature and allows everyone to select tiles they find appropriate. A preview of the upcoming calendar events. Clicking on them takes you to the event page. The event page is enriched with the Yammer embed to allow people to comment on the event. The calendar also contains an RSVP and “sign up” feature. It’s up to the organizer to decide if everyone gets to see the tracking information and whether signing up for the event is required. These features are custom and based on standard SharePoint features. Creating linked Yammer announcements automatically can help to notify people when new events are added. This is an accordeon type feature. It showcases the last 10 news items created by different departments. The departments are sub-Sites on the Intranet. This feature gives the departments a spot on the homepage. As soon as they publish news, their news item will be featured on top of the list and the oldest department news is removed from the bottom. Tapping/clicking on the items expands the element and shows you the summary of the news item giving people a teaser before they decide to visit that news article page. Events include a library which is shown on the event page. This allows the organizer to add pictures to the event or allow others to do so as well. The pictures are automatically showcased on the homepage in this component. This feature shows pictures of the last event. It mentions the title, location and provides a summary which can be attached to the pictures. Clicking/tapping on the two arrows allows the user to switch the event that is in focus. Clicking/tapping the picture will navigate the user to the event page, showing all the pictures. The news created on the homepage should be linked to a specific Yammer group. When the news article is published an announcement is created in the corresponding Yammer group. This announcement has the entire body of the news article, including the formatting. The pictures attached to the news article are attached to the announcement for easy access and the announcement triggers a push notification on the Yammer app. The title of the news article is shown in SharePoint and is also used as the title for the announcements in Yammer. 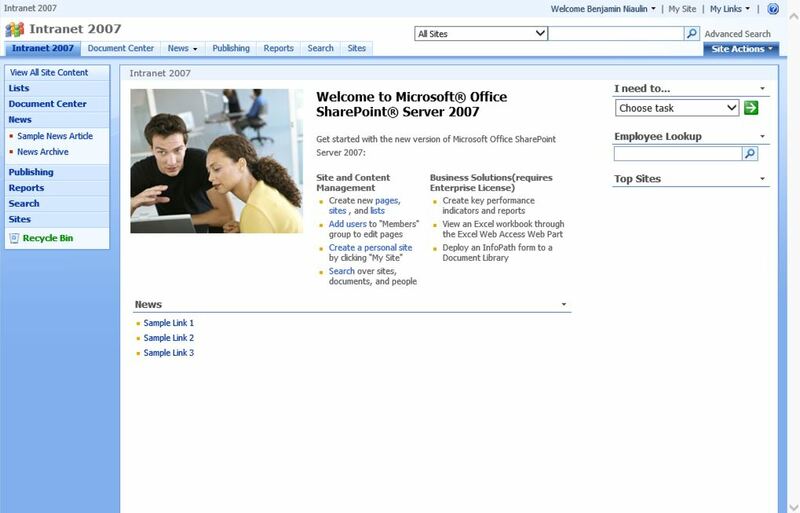 The last Intranet project I worked on concerned an on-premises SharePoint 2013 installation. This is why we chose to add the entire news article to the Yammer announcement. With a responsive Intranet on SharePoint Online, you can also choose to only add the title, summary and a link to the news article to the Yammer announcement. It is possible to automatically attach pictures from the news article to the Yammer announcement. This will provide easy access to users, but it also results in less traffic to the Intranet. 4 What are you working on? There is no way to remove this field. This field allows users to create new conversations linked to the news article. This is what you get with the default SharePoint & Yammer integration. My advise would be to use a shared account for the news published on the homepage by Global Communications. This will look more formal within Yammer and will result in more interaction. This is where you see the conversation about this news article. Users can share this announcement to other groups if they want. Searching for Google here in the Netherlands for the terms “Social Intranet” gives me ads and results from companies that have built standardized Intranet environments. After seeing many of these environment in production I have come to the conclusion that none of them have integrated SharePoint & Yammer effectively. The best integration you get is the option to comment on news, but you don’t have the option to like the news article as no announcement is created in Yammer. The announcement is key as it triggers a push notification. Not having this integration in your Intranet means that most departments probably don’t see the value of sharing news via SharePoint. They get more interaction if they just post an announcement in their Yammer group, so why share news on the Intranet? 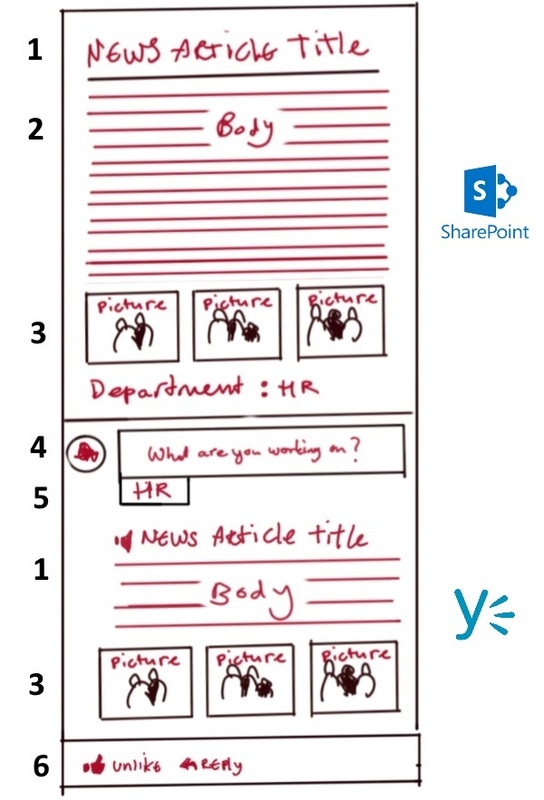 This blog post was written to help keep the Intranet relevant by integrating SharePoint & Yammer in an effective way. Please note that I’m not a developer. 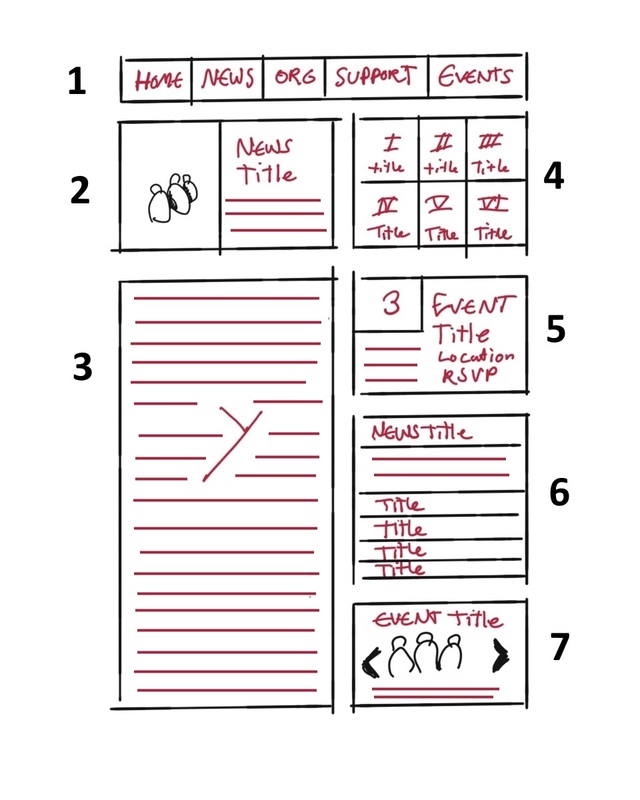 The Intranet environments I design are built by SharePoint developers. I’m currently working with two Microsoft Partners on Intranet related projects and I’m more than willing to help you if you have any questions. We can realize an Intranet as described above with minimal effort and for a fixed and competitive price. The adoption of Office 365 services such as Yammer is realized by sharing video tutorials on the Yammer network and answering questions from users where others can see them as well. You can find more information regarding my approach to IT Project Management here. Feel free to contact me if you have any questions.